Bullet for My Valentine is a Welsh heavy band formed in 1998. The members of the band currently include Matthew Tuck, Michael Paget, Michael Thomas and Jason James. 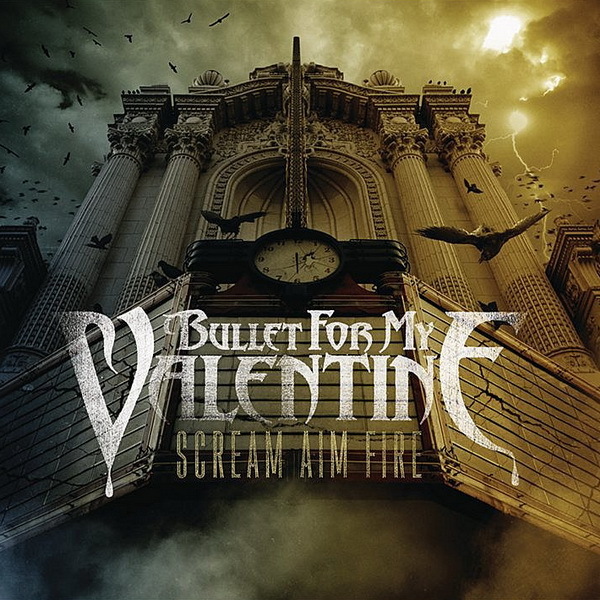 The band logotype, as seen on the cover artwork of their 2008 album Scream Aim Fire, was designed using a font very similar to Drakon. The font, however, is incomplete without lowercase letters, punctuation marks etc. Its earlier logo that appeared on its first album The Poison was also designed using Drakon. You can download the font for free here. If you do not want to download and install the font but just like to create simple text or logos using Bullet for My Valentine Font, just use the text generator below. The following tool will convert your entered text into images using Bullet for My Valentine Font, and then you can right-click on the image to save it or click on the "EMBED" button to get links to embed images on the web.